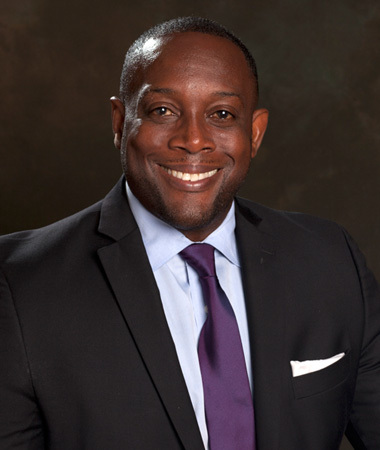 For more than a decade, Andrew has served the National Black MBA Association® (NBMBAA®) Metro New York chapter in several capacities: Volunteer Management, Director of Employment, Vice President, and now, an elected President. Andrew has held two positions at Stryker Orthopedics, whose purpose is to offer innovative products and services in orthopedics, medical and surgical, and neurotechnology and spine that help improve patient and hospital outcomes. For the past 5 years, as the Global Demand Planner, Andrew implemented standard operating procedures, managed order cycle functions and associated information systems, and improved department workflow. Additionally, he was the International Chain Supply Analyst, who supported the design and generation of recurring statistical forecast reports for new product launch, managed supply chain operations, coordinated sales forecast, and decreased operation shortfalls. Andrew holds both a B.S. in Marketing and an MBA in International Business from Long Island University. He resides in Westchester and is an active member of Christ Church in Rye, New York.